Contemporary ceramic party dinner set for a 40th ruby wedding anniversary celebration. 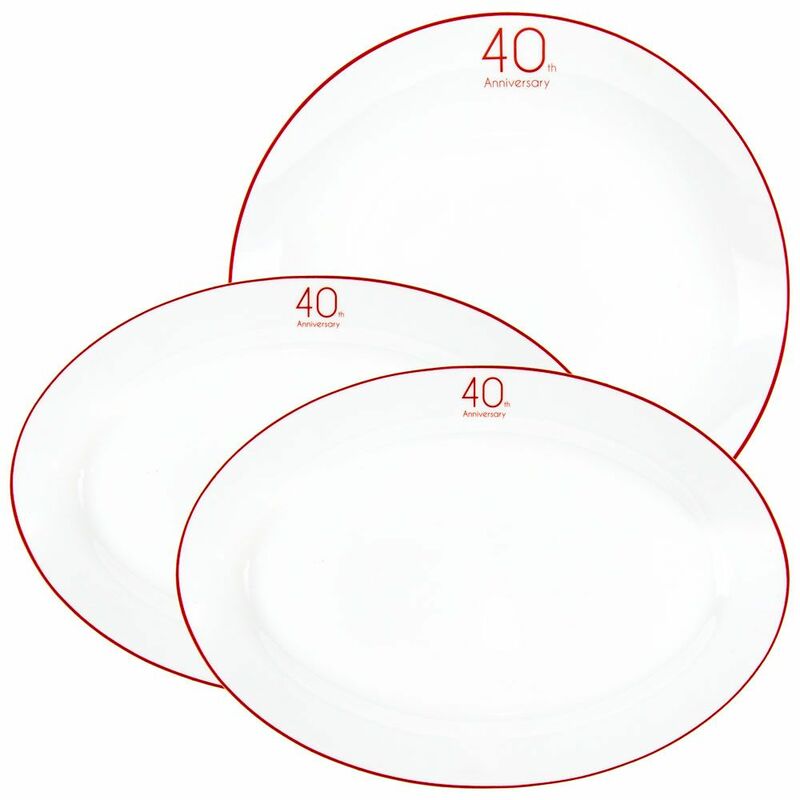 The set includes two oval plates and one circular plate all with "40th Anniversary" text and red gloss trim. 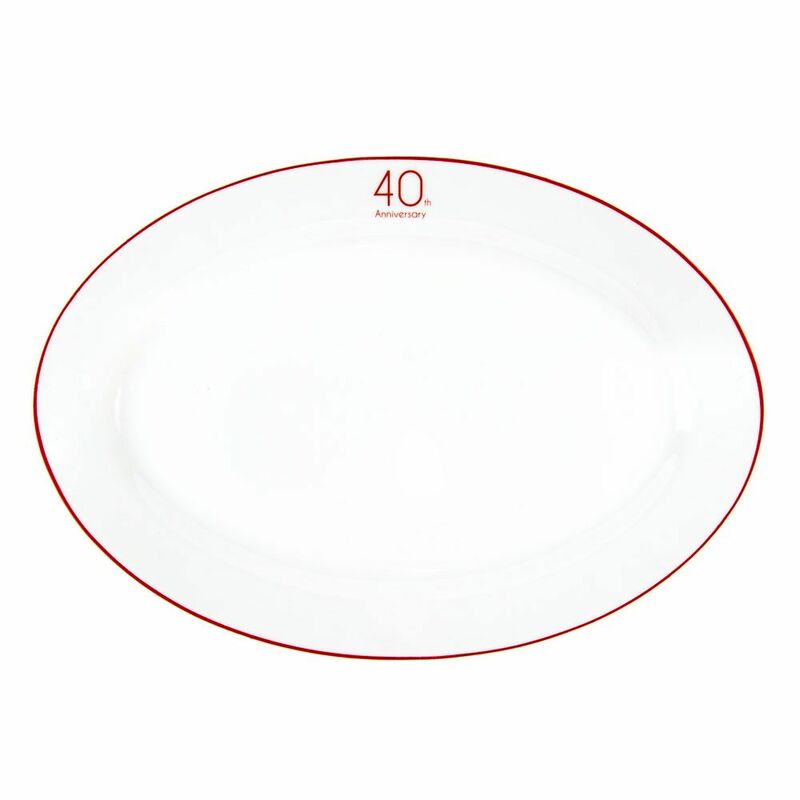 Dimensions: Oval plate - Height - 3cm, Width - 36cm, Depth - 24.5cm. 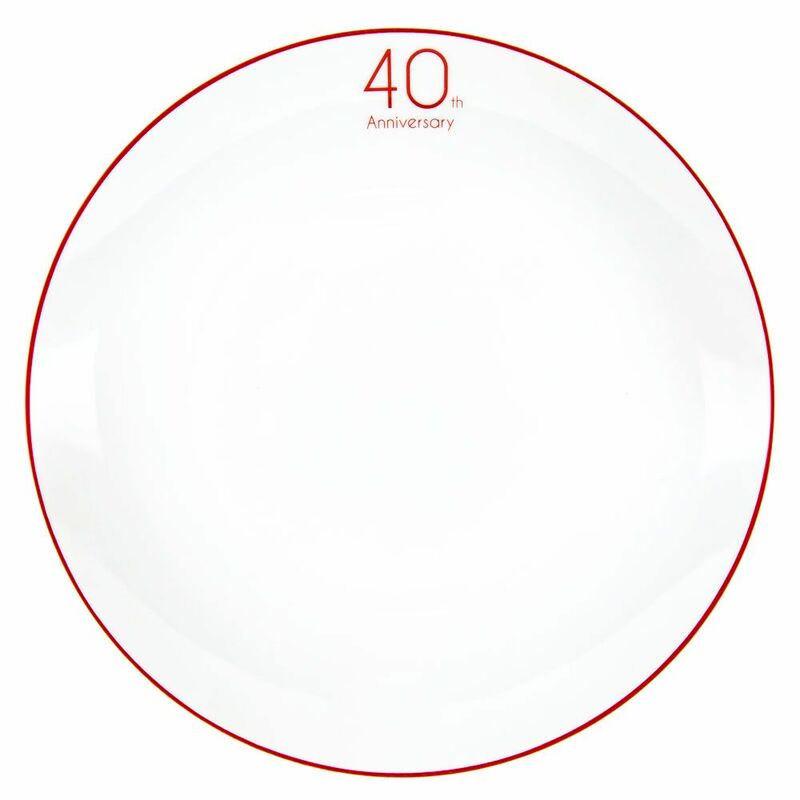 Round plate - Height - 4cm, Width - 30cm, Depth - 30cm. Makes for a thoughtful and unique gift for a couple celebrating their 40th wedding anniversary or a must-have for an anniversary party. The plates are perfectly suitable for dishwasher and microwave.